As a driver for Moutrie Trucking, you can expect a late model, impeccably maintained piece of equipment with your comfort in mind. Our fleet consists of Freightliner Cascadia tractors averaging 2 years of age. Moutrie Trucking tractors are equipped with extra insulation, bunk beds, satellite televisions, satellite radios, refrigerators, dual air-ride seats, an upgraded mattress, bunk heaters, and much more to make your time away from home as pleasurable as possible. Moutrie Trucking drivers pull 53’ Wabash Duraplate dry van trailers. All our equipment is maintained by one of the country’s leading maintenance providers, which allows us to offer some of the best maintained equipment on the road today. We value our employees and treat them as a member of our extended family, not a number. We operate the newest, most technologically advanced, equipment available today. We know your family is important. We offer consistent home time, every week. We provide excellent mileage pay, paid weekly. We also offer a lucrative bonus program that is paid quarterly. We provide the little extra’s to make our drivers time away from home comfortable. These extras include: air ride suspension, satellite radio, satellite television, refrigerators, bunk beds, etc. Communication is important to us! We talk to our drivers each and every weekday they are out on the road. We offer drop trailers at our customer’s facilities for more efficient loading and unloading schedules. We take care of our drivers and they continue to work for us year after year. We are 100% CSA compliant to assure a safe and legal work environment. We offer insurance benefits, company matched IRA, holiday pay, vacation pay, cell phone reimbursement and much more. "I have been driving for Moutrie Trucking for 4 ½ years. Moutrie Trucking is a great family run company where all drivers have a name, not a number. Their fleet is all newer trucks and trailers that are well maintained. They are the very best trucking company that I have driven for." 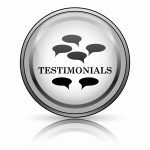 "Working at Moutrie Trucking is unlike any other Company that I have ever worked for... when you call in you actually get to talk to a person! They also make sure you have everyone's cell number in case you have to call after hours. They have new and well-maintained equipment, an outstanding bonus program, and treat their drivers well with DirectTv, XM Radio, and also refrigerators in all of their trucks. They are just a great Company to work for!"